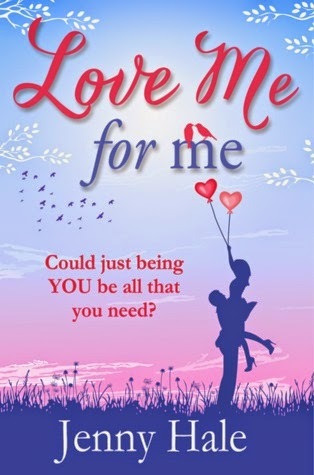 I kindly received Love Me for Me in exchange of an honest review by the publisher. With eighteen years of age, Libby Potter left White Stone for going to collage in New York. She could't wait to escape from that little town to live her life in the big city. Libby knew she was destined for something bigger. Now twelve years later, Libby is living in Manhatten. Her life is perfect and she loves everthing about it. Great job, a wonderful boyfriend who she just got engaged to. Libby's world is crushing down when she loses her job and Wade dumbs her in her lowest moment. Libby and Wade had bought the cottage together in White Stone. After their break up Wade wants to get rid of the cottage and Libby is on her way to to her hometown to sell it. When Libby left White Stone so many years ago, she also left Pete Bennett, her childhood best friend and high school boyfriend. How could it be any different, Pete is the first person she bumps into when she arrives in White Stone. Now, seeing him after all those years being away, it hit year. All the memories and feelings are coming back. Libby is off to a journey to figure out what is important in life, what she wants and where she really belongs. Love Me for Me has been one of my favourite reads of the year so far. Beautiful is the first word that comes to mind when I think of this treasure of a book. The cover couldn't look more beautiful. It was like instant love when I saw the cover for the first time. I was hoping the story would match. My wish had been fulfilled. dementia. You get so drawn into the characters world that you don’t want to stop reading. I couldn't put it down. The third person narrative from the author makes it easy for the reader to follow the story. It’s a really emotional book which will touch your heart. Brilliantly written and a joy to read – I recommend it highly. This is a great review. I will have to give it a try. To be honest, I am not a fan of the cover and would have never picked it up on my own, but with a good recommendation...It's mine.